The High of Christmas is Over….Or Is It? As a parent, I have always found it fun to watch my daughter open her presents at Christmas. The smile on her face and joy she expressed was enough present for me. She is older now, but that feeling I have watching joy expressed by my loved ones has not waned. I am confident you feel the same way. For me, it is the spirit of giving that makes Christmas special. But I wonder if the high of Christmas really only lasts one day or is it possible to spread that cheer all year round? What do you think? In 2018, I was wrapped in a blanket of love and support as I went through my stem cell transplant to treat my second bout of cancer. I am happy to say that I am well on my way to recover, but have a ways to go in order to be back to my old self. With the unexpected show of support, I came to realize that the feeling I experience around Christmas can be felt year around. All I have to do is reach out to my friends in good and tough times. A quick note is all that is required to make their (and my) day. It is not tough, difficult, or costly. I just takes a bit of time, but not allot. 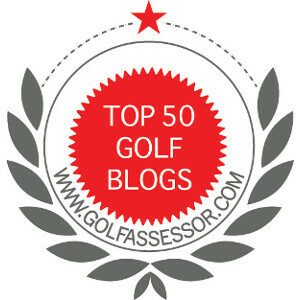 If you are wondering, this blog is called The Grateful Golfer. Most of the time, my views center around golfing, but today it is focused on being grateful. I have a fantastic 3 foot space and I am grateful for all the fantastic people who bounce in and out of it in the course of a day, week, or year. It is the interaction with them that helps keep the Christmas spirit alive all year. I wish you all a fantastic holiday season full of joy and laughter. I am grateful you took the time to read my musing today; I hope you enjoyed the read. Congratulations on the recovery! Like you, giving is what makes the holiday season what it is…. we need to spread this cheer year around! Thank you for your postings and Happy Holidays! Well said sir. Happy Wednesday!